Winters Recreation has a variety of power sports units & vehicles. We provide wholesale & retail opportunities to our customers. 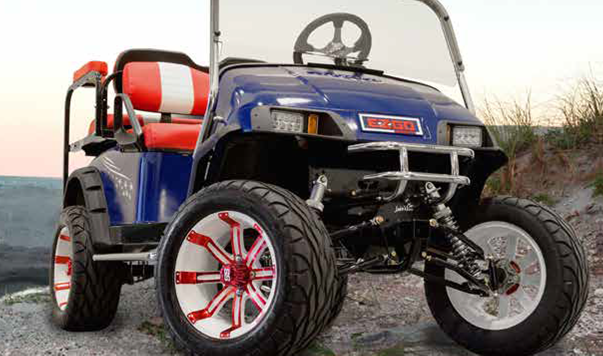 We specialize in used customized golf carts, new golf carts, snowmobiles, vehicles and campers. Our top brands are Yamaha, E Z GO, Club Car, Coachmen Clipper, Legend, Ford, Chevrolet, Arctic Cat, Polaris and Ski-Doo. Winters Recreation is your reputable and trustworthy authorized Yamaha & Club Car Dealer. All new carts come with a manufacture warranty and we have full access to golf cart accessories (ball washers, coolers, cabana’s, black seats). Inexpensive delivery is available! Contact us. Customers are treated fair with kind and helpful customer service to see you through your new or used purchase; keeping our satisfied customers coming back or referring us on! Get the machine you dream of when you choose a custom cart to order. We’ll work with you on the exact cart you’re seeking and you’ll only pay for the exact features you want. We're proud of our customized #GolfCarts and the craftsmanship proves it. We use high quality paint, reputable manufacturers who stand behind their products and we service the machines just to name a few. We choose not to cut corners on golf carts for a reason...for you, our #HappyCustomer. Contact us how you can become our next #HappyCustomer.